With the Vaca Muerta rock formation reaching over 7.4 million square acres, Argentina boasts the second largest shale gas deposit in the world by some accounts. Currently, Argentina is importing more fossil fuels than it is producing, and the exacerbation of this trend will prove unaffordable in the long-run. Argentina’s government has framed natural gas extraction in Vaca Muerta as the key to ending this trend, but there are also some significant issues to consider. 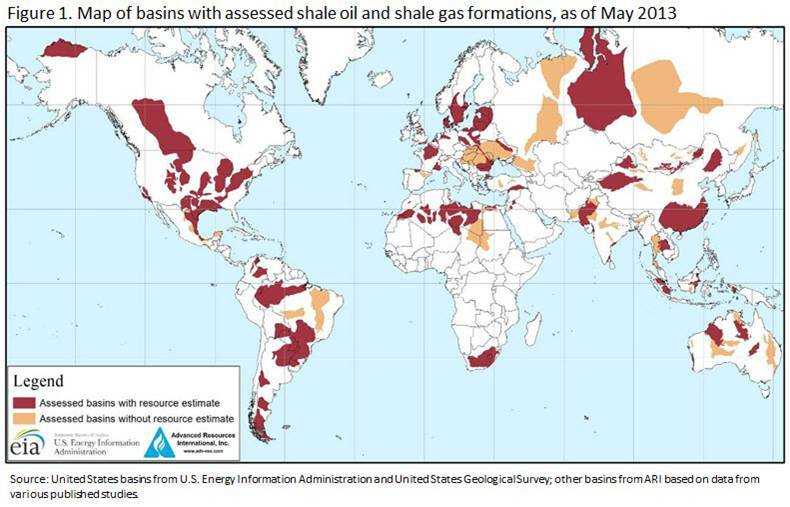 Proponents of natural gas argue that taking advantage of this resource could significantly boost Argentina’s economy, but it is necessary to look at some of the major concerns regarding increased investment in the hydraulic fracking of Vaca Muerta. According to Elizabeth Tedsen, a Senior Fellow at the Ecologic Institute, “the government has courted foreign investment to begin fracking, which has drawn opposition from local governments, environmentalists, and indigenous groups who fear that the environmental damage of fracking will far outweigh any short-term economic and energy benefits.” Other important considerations include the uncertain nature of the natural gas sector, questions of national and provincial sovereignty in light of government deals with American corporations, and the need for effective regulation. Because natural gas is non-renewable, Argentina’s domestic production of shale gas will inevitably decrease (and eventually disappear) over time. Meanwhile, the demand for natural gas will continue to grow, and Argentina will need to import more and more natural gas as a result. Thus, natural gas may not act as a consistent energy source, which adds another level of uncertainty to Argentina’s already precarious economic situation. The question now becomes: if not natural gas, then what? According to Tedsen, Argentina “has some of the best renewable resources, with huge wind potential in the south and great solar in the northwest.” Some provinces in the Patagonia region have introduced tax incentives to promote wind energy use, but it is questionable whether such incentives are large enough to allow Argentina to reach its target installed capacity of 1.2 GW by 2016. The solar potential of Argentina’s northwest region is so great that, in theory, it could act as the country’s sole energy source. 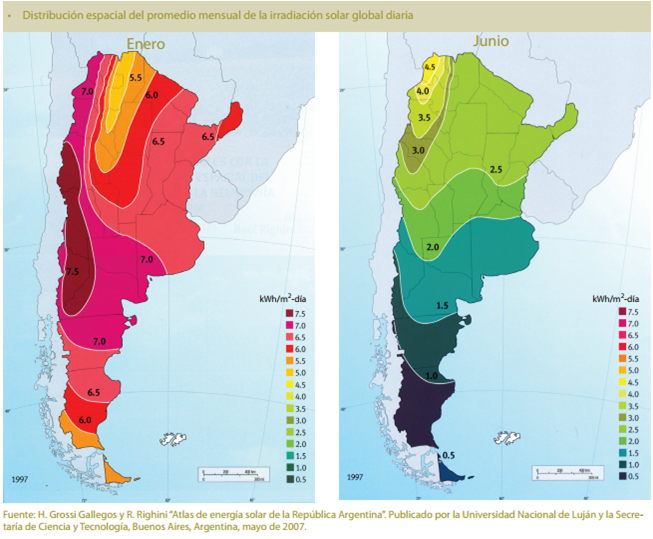 However, Argentina does not appear to be in the process of creating any major utility scale solar plants. As is the case in many other countries, Argentina’s weak regulatory framework and insufficient international investment deter the increased use of renewable energy sources. Although the underutilization of solar energy in Argentina is apparent, the nature of solar technology makes it a relatively easy and affordable energy source for communities to employ. GlobalPost. GlobalPost, 9 June 2014. Web. 1 June 2015. Grotz, Enrique, and Pablo Decundo. “Renewable Energy Recap: Argentina.” Renewable Energy World. RenewableEnergyWorld.com, 2 Jan. 2012. Web. 1 June 2015. Tedsen, Elizabeth. Ecologic Institute, Washington, D.C., 3 June 2015.